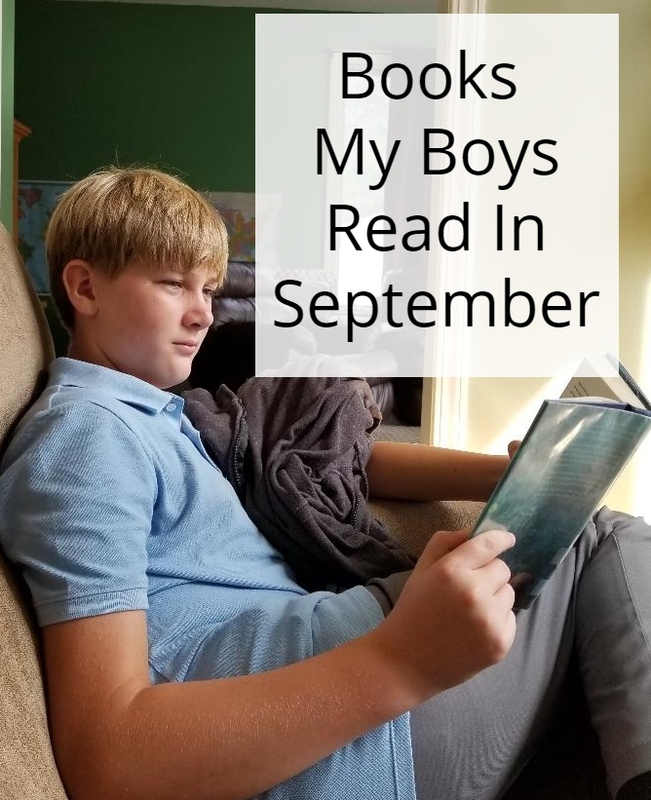 We finally started back to school last week but looking at this list of books my boys read this month you'd never know we were on vacation for most of the month. 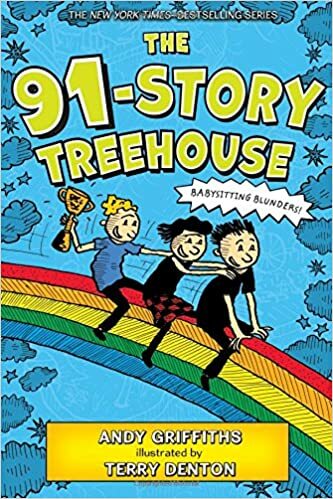 The 91 Story Treehouse-- Ian has read every book in this series and really enjoys reading about the crazy new additions they make each time. In this book Andy and Terry are babysitting Mr. Big Nose's three grandchildren for a day. 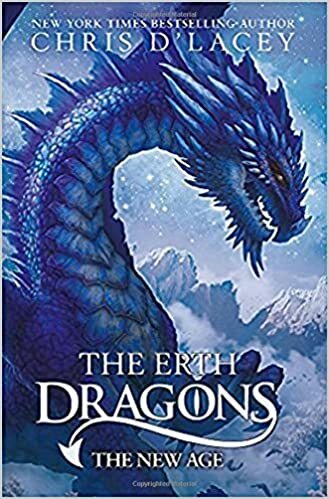 The Erth Dragons: The New Age-- Alec was so excited to read the final book in the Trilogy in the culminating series there is a battle raging between the dragons and all the other races. 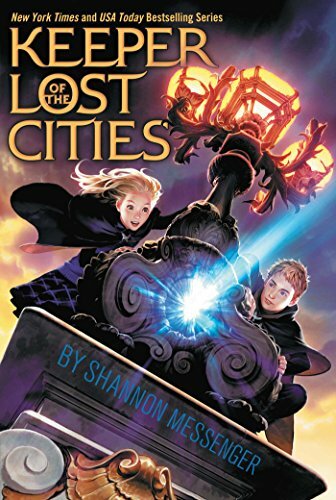 Keeper of the Lost Cities-- Sophie is a Telepath and her ability to read minds sets her apart from the other kids in school and even her family (even though she has kept her ability a secret). One day Sophie meets Fitz (another Telepath) and he helps her see that she has never really fit in because she is actually from another world. The Lost Continent-- Alec got so frustrated waiting for this book to come in from our local library that we bought it for him at Barnes and Noble before heading out on vacation. He read the entire book on our drive to Niagara falls. And then began re-reading all the other books in the series! This book focuses on the Silkwing dragons and their metamorphosis. Seven Wonders: The Colossus Rises -- Alec found this book at the bookstore when buying The Lost Continent and read the whole thing on the drive home from vacation. He can not wait for book 2 to come in at our library. Jack McKinley is an ordinary kid and he's going to die in a few months unless he can find seven magic Loculi; hidden throughout the seven wonders of the world. 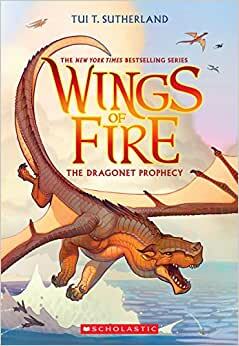 The Dragonet Prophecy-- Book one in the Wings of Fire series; 5 young dragons have been raised in secret to fulfill a mysterious prophecy and end the war that has been raging throughout the entire region. The Throne of Fire-- Alec has also been listening to the Kane Chronicles on CD. He enjoyed this series so much the first time that he wanted to listen to them again. In the second book Carter and Sadie have set off looking for he Book of Ra. Coach Hyatt is a Riot-- When AJ and his friends get a new Football coach they realize that she is absolutely crazy! She wants them to pick up her car, tells them that bathroom breaks and drinks are for losers, and makes up plays that no one can follow. The Sisters Grimm; The Unusual Suspects-- When Sabrina Grimm's teacher turns up dead and dangling from a spider web the sisters must figure out what happened and what the problem is with Ferryport Landing Elementary school. Moon Rising-- In the 6th Wings of Fire book the war is finally over! The Dragonets plan to open a school to help keep the peace and raise all the dragons from the different tribes together as friends. 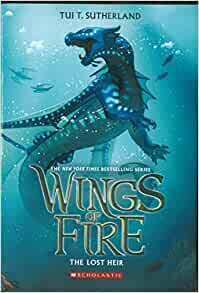 The Lost Heir-- The 2nd book of the Wings of Fire series. Alec loves this underwater adventure in which Tsunami, the lost heir to the Seawing throne, is returning to her home. Matched-- Ian has really been floundering on what to read lately and I suggested he try this dystopian society book since he really enjoyed the Hunger Games and Divergent. 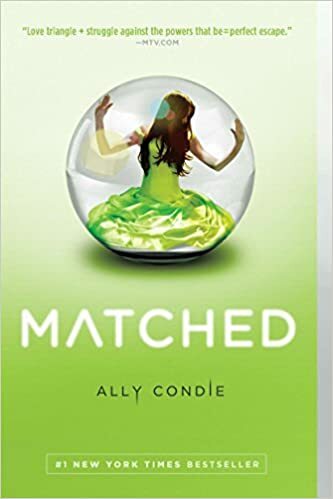 In this book Cassie is being Matched by the Society.. only problem is that two faces appear on her matched disk and while Society tells her to just forget about the mistake her heart is telling her another thing. I enjoy checking out the lists of books read that you post. What is it about book lists? I like reading through them almost as much as I like reading the books themselves! What's on the list for October? Thank you! I just love book lists too! Alec will be reading all the next books in the series he's reading. We're also planning on finishing up Harry Potter and the Chamber of Secrets.. but I'm sure we'll be reading even more than that.